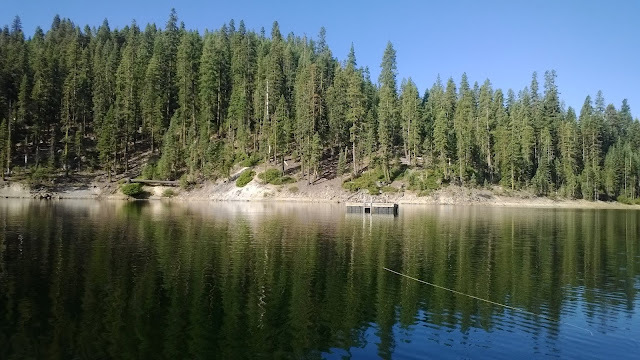 Bucks Lake is a large reservoir in Plumas County. Although not known as a popular fishery, Bucks Lake is home to kokanee, rainbows, browns, and mackinaw. 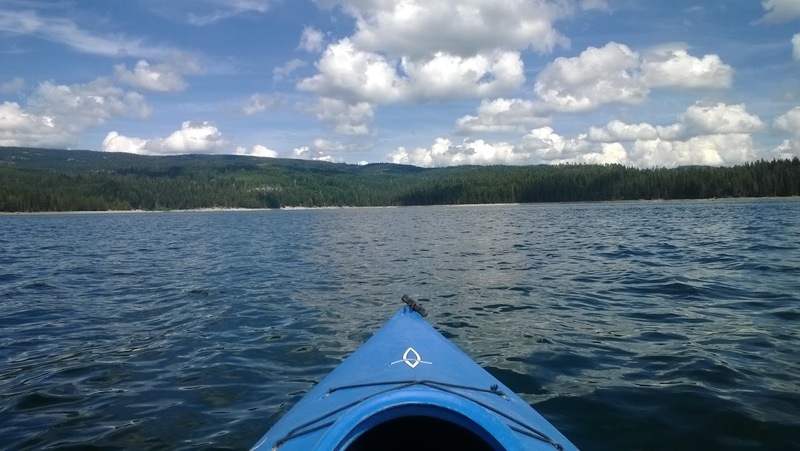 The reservoir is made of two additional bodies of water, the Grizzly Forebay and Lower Bucks. The main lake is fairly shallow in comparison to others with the deepest point being 100ft. This weekend Amanda and I spent some time on Bucks Lake with some of her family. In addition to drinking and partying, I also had a few opportunities to get out on the lake and wet my line. This body of water is what the main lake feeds into in order to generate power. Lower Bucks is smaller and more ideal for fly fishing with a nice amount of weed growth near the banks. In the morning I floated Lower Bucks and found a big hatch of midges. There were a few fish jumping here and there but not enough to convince me to switch to a midge pattern. I stripped and trolled at different depths for three hours with a bugger in hopes of finding a fish. My trip ended with one small nibble that I missed. Once I got out of the water and was back at the cabin, a neighbor of ours told me that of all the years hes been in the area he has never caught a fish in Lower Bucks. He is an outdoorsman so there is some truth there. I'm sure there are nice fish out there, just not for me. To try and beat the skunk I fished the main lake. Armed with a kayak, I fished several nice areas that looked fishy. Rocks = shelter = baitfish/bugs = fish. The water was a good 60 degrees with plenty of overcast. By following this formula I should have hooked into something but ended the outing with zero. In my opinion, Bucks Lake is reminiscent of Lake Tahoe. The lake is surrounded by coarse sand, marble rocks, and tree stumps. There is very little weed growth and the water clarity is near 15ft. After doing some rock flipping, the bug life was very lacking with a few mayfly nymphs here, a damsel nymph, and a good number of midges. There were also a few pond smelt schools that I located while roaming the lake. Overall nothing too exciting. Maybe I fished the lake at the wrong time or wrong place. 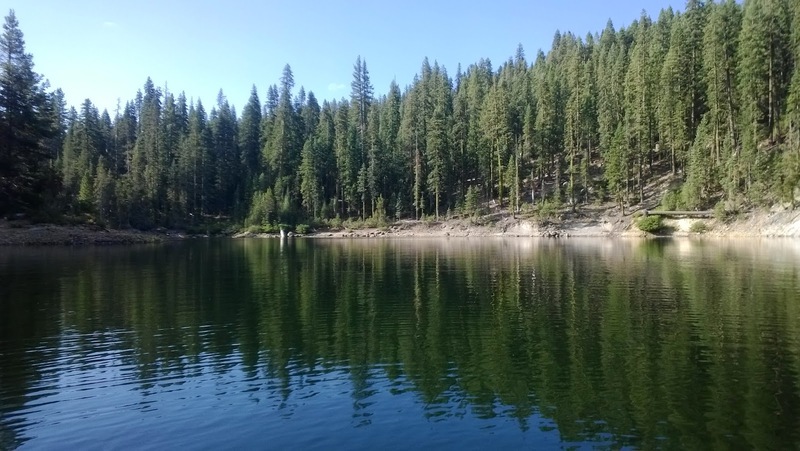 The fall and spring are the best times to fish sierra lakes especially for salmonoids. Mid-summer is deep trolling time which is effective on Bucks all year around. Fly fishing is hard; the beers and friends where great company though!